Do you find the people who lived in Biblical times have a lot in common with us today? How are our lives similar? That’s one of those questions to which I think the answer is both “yes” and “no”. People seem to come in the same set of types no matter when they live. (No matter what group — political, fannish, whatever — they’re in, come to that. There’s the Person Who Thinks He Does Everything. There’s the Person Who Really Does All The Work. There’s the Person Who’s In It For the Shopping Ops. And so on…) I think that the average person in any time period works hard and tries to live a decent life and provide for a better life for his or her children. One of the reasons the stories in the Bible are told and retold in books and movies is because the problems the Biblical characters struggle with are still relevant today. In DELILAH, Aylah and Orev are my favorite characters. Are they completely fictional or do they have some historical reference? Thanks; I’m very fond of them too (although my absolute favorite character in the book is Lord Aulykaran). But Aylah and Orev are fictional. Both Delilah and Samson are so passionately larger-than-life they needed more mundane mirrors to give the reader a better idea of how to regard them compared to more normal people. Do you get positive feedback from religious critics on how you’ve chosen to portray your characters and/or version of the story? 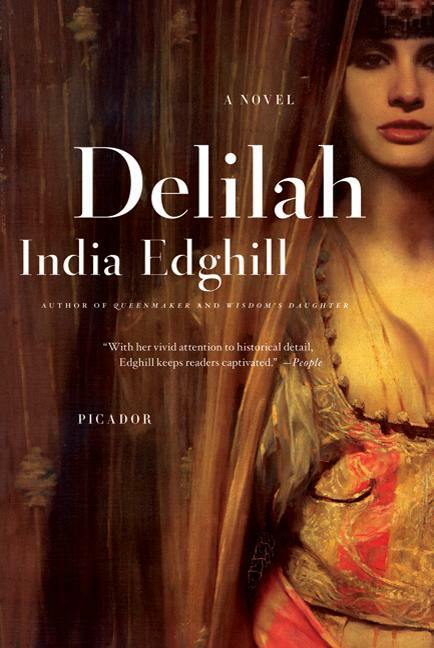 I haven’t really gotten any feedback from religious critics on DELILAH. QUEENMAKER, on the other hand, has gotten some virulent criticism from religious readers who are outraged at my slant on King David — although all I did, really, was look at his actions as described in the Bible from a different point of view. As one author of a nonfiction book about David has said, the LEAST you can say about David is that people in his way had a habit of dropping dead at convenient moments. Have you visited any of the places in your books? In the case of my mystery, I’ve spent a lot of time in New York City, and at one point I lived in Brooklyn and worked in Manhattan for about five years. I love New York! What prompted you to write Biblical fiction in the historical sense, rather than from a Christian fiction stance? Well, I’m not a Christian and I am a historical novel junkie. My family’s never been religious, but when I was growing up we had two Bibles — King James Version and the American Standard English version — because my father believed that if you didn’t know the Iliad, the Odyssey, and the Bible, you didn’t understand the framework of our civilization. When I was twelve, I decided I should read the Bible all the way through. I read all the Old Testament and the Gospels, but couldn’t get past them into all the Epistles-To-The. The Bible has some of the world’s best stories, all of them in the public domain! Other than reading and writing (which is a given for all writers) what hobbies do you enjoy? Is research difficult having to delve so far back, or do you find it easier because you can fill in gaps where needed? It’s far easier to research a historical set two millennia ago than it is one set two decades ago! Unless you make an egregious error (such as having Delilah serve potatoes at dinner), you’re pretty safe with details in ancient Ascalon. But make a mistake about 1984 New York City, and you are DEFINITELY going to hear about it! Like most writers I know, I love doing research, and it’s a great excuse to buy books, movies, and magazines. After all, you never know which bit of data will prove invaluable, right? 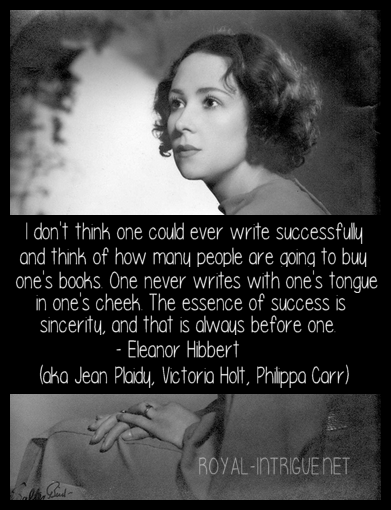 The problem is knowing when to quit doing research and get started writing! You published a mystery novel, File M for Murder, along with three historicals—how does the writing process differ between the two genres? Actually, FILE M is also a historical, because it’s set in 1984. Writing a modern mystery was easy when I first wrote it, because it WAS the 1980s. When I resold it in the 2000s, I had to rework and expand it, and discovered I had to look up an amazing number of details I’d forgotten. FILE M remains set in 1984 for a number of reasons — including the fact that if I reset it in 2004 the entire story would run about ten pages. The first time the heroine was in trouble she could just whip out her cell phone and call for help! Writing historicals set long ago and far away involves a different kind of research. The Internet has expanded the available resources, including periodicals I would never be able to access otherwise, and also enables me to waste VAST tracts of time wandering from one delightful site to another, gleaning bits of information — everything from maps of ancient Babylon to recipes for dyes. Writing historicals set way-way back also means there are a lot of things we actually don’t know, so the author has to extrapolate and come up with something plausible for the time, place, and character. You’ve told me a lot about your dogs… would you like to share with my readers? Do your readers have a couple of years…? Well, I have Cavalier King Charles Spaniels, and I have Cavaliers because about 20 years ago a character in a story I was working on needed a dog. Since I’m what Elizabeth Peters called in her novel THE MURDERS OF RICHARD THE THIRD a “historical necrophiliac”, and since Charles II is my favorite English king and he had dozens of the little spaniels that now bear his name, I gave the character a Cavalier. 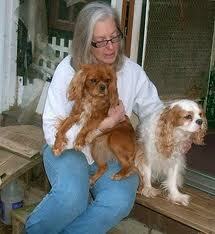 But at the time I was a Cat Person (we had 9) and didn’t know much about dogs. So I had to research Cavaliers…to cut the story, if not short, at least shortER, I researched the breed and fell in love with it. I joined the Cavalier King Charles Spaniel Club and a few years after that, after a lot of careful consideration of what getting a dog would mean in the way of work and so on, in 2000 I went to the Cavalier specialty show in Secaucus NJ (a “specialty” is all one breed). There I spent a weekend surrounded by Cavaliers and their people and two weeks after that I heard from one of the breeders who had a puppy for me. It’s just a good thing I didn’t give that character Great Danes! What can we expect next from your pen? Isn’t it interesting that we still say “from your pen” when it’s really from keyboard and computer? Cultural lag is fascinating. 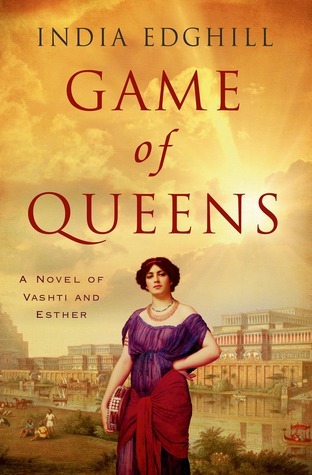 Anyway, my next book is a retelling of the Book of Esther, and the main character is Queen Vashti. The Book of Esther is hard for any novelist to resist: royalty, palace intrigue, and that beauty contest; what’s not to love? The current pub date for it is early in 2012 — and I NEVER thought I’d be typing years like that except in an SF story! Just that on my website – www.indiaedghill.com – the first 50 pages of each of my Biblical historicals and the opening of FILE M are posted; I figure if a someone doesn’t like the first 50 pages of my book, they won’t like the next 350 pages any better. It’s nice to know BEFORE spending money on a book. And on the short stories page, two of my favorites are posted in full text: “The Courtesan Who Loved Cats” (inspired by an Indian miniature from around 1800 also called, by the most amazing coincidence, “The Courtesan Who Loved Cats”) and “A Spaniel For the King”. Thanks so much for having me as a “guest”! In the hills of Canaan, the Israelites chafe under the rule of the Five Cities, and choose Samson to lead them to victory. A reluctant warrior, Samson is a man of great heart who prefers peace to war. But fearing a rebellion, those who rule the Five Cities will do anything to capture Samson. When Samson catches a glimpse of Delilah, he is ready to risk his freedom to marry her, and Derceto seizes the chance to have Samson at her mercy. The Temple’s intrigues against Samson force Aylah and Delilah apart, lead Delilah to question her own heart, and change her future forever. You may know part of the story already, but you only know what history has passed along. The story of how Vashti, Queen of Queens, the most beautiful woman in all the empire, defied the king her husband and so lost her crown. The story of how Ahasuerus, King of Kings, commanded that the most beautiful maidens be sent to his court so he might choose a new queen. And you may know how he set the queen’s crown upon the head of the virtuous and beautiful Esther, and how Queen Esther herself defied both king and law to save her people from a treacherous fate. The only woman in the Bible who is noted to have loved a man, Queen Michal was King David’s childhood sweetheart, his first wife, and daughter of his great friend and greater enemy, King Saul. Married to and then abandoned by David at age 14, Michal is forced to marry him again and become his first queen ten years later. Thrown into transition and turmoil, Queen Michal resists the ambition and greed that have become integral to David’s personality and kingship. Acting nobly as his queen, but refusing to compromise her soul, Michal is drawn in friendship to the women in the king’s court. Among his concubines and mistresses is Bathsheba, who becomes the mother of David’s son, Solomon. In Queenmaker, Michal emerges as a wise and loving woman whose female family sustains her and establishes the spiritual foundation of the entire kingdom. 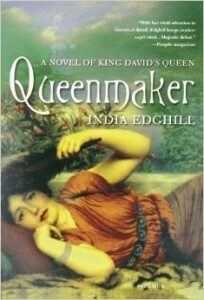 Queenmaker depicts in unforgettable detail the characters of one of the greatest periods in Biblical history-their public deed and private thoughts-and gives readers the court of the kings as only a woman could see it. 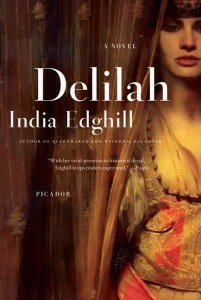 This is the tale of Bilqis, the Queen of Sheba, who rules the spice lands and bows before the will of the Goddess. This is the tale of Solomon, the King of Israel and Judea, who built the golden temple to Yahweh in Jerusalem. Once he prayed that he might rule wisely. This is the tale of Solomon’s wives, of his concubines … and of his daughter Baalit, more beloved than any son. Here are their voices, their mysteries, and their deepest secrets. Here they sing their songs and weave their tapestries. As the queen’s search for a true heir to her throne takes her to the court of the wisest man in the world, both she and the king learn how to value truth, love, and duty…and the king’s daughter learns that not all the world is ruled by men. 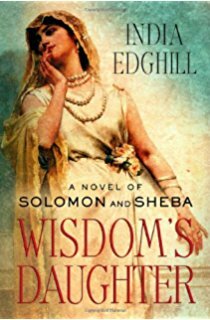 Wisdom’s Daughter is a vivid and richly textured rendition of the biblical tale of King Solomon and the Queen of Sheba. Told in a tapestry of voices that ring with authenticity, Wisdom’s Daughter profoundly reveals the deep ties among women in a patriarchal world.